A fire at the Brakfontein substation in Centurion in Gauteng has left several suburbs in the area without power. Amberfield, Rooihuiskraal, Heuweloord, Hennopspark and Wierda Park have been without electricity since Friday night. The City of Tshwane says the damage is extensive and that it doesn’t expect the power to be restored soon. 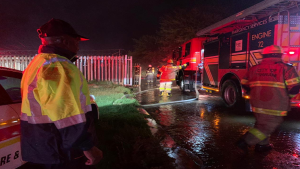 The post Parts of Centurion still without power following substation fire appeared first on SABC News – Breaking news, special reports, world, business, sport coverage of all South African current events. Africa's news leader..